Whether in mining or food and agriculture, accurate level measurement ranks as one of the most important operational undertakings. Businesses must be able to calculate materials production without error. Take a mining company, for example. Without an understanding off the quantity of materials being processed on a daily basis, it's next to impossible to assess inefficiencies or potential setbacks with production. This is where a level-measurement system comes into play – one designed for the rigours faced by modern businesses. But what do you need to keep in mind when selecting a level measurement system? Level-measurement solutions are diverse – there are a number of options available on the market. Level-measurement solutions are diverse – there are a number of options available on the market. This can make it difficult to find one that fits the needs of your business. Of course, many businesses may find it easier to reach out to a third party for advice. Below, we'll take a look at three considerations to keep in mind. No two level-measurement solutions are the same. There are a significant number of different systems available, each of which is best suited to a different environment. Picking the wrong solution could end up being a costly mistake, as the business will then need to reassess and potentially procure another system. Weight instruments, for example, are often favoured in industries handling pulp, pellets and mining material, while radar instruments are suited for use in water and sewage applications. 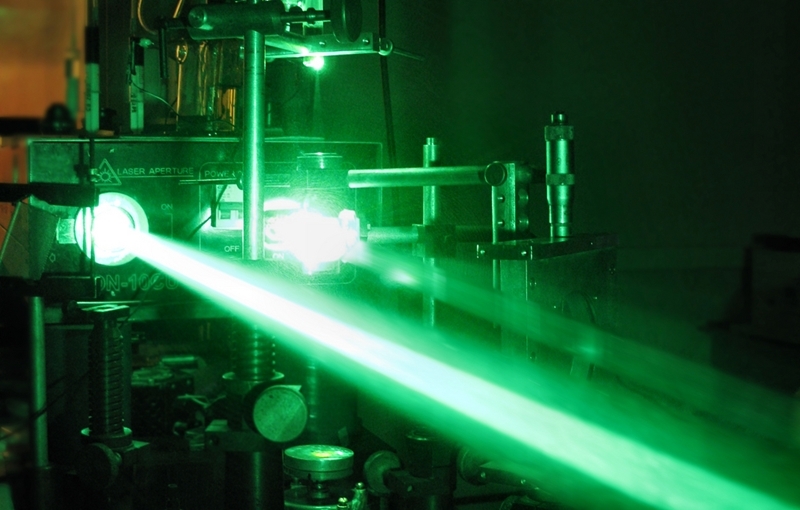 Laser measurement systems never come into contact with the material. 2) How advanced does it need to be? As we noted above, the range of level measurements is diverse. This means businesses will come across models equipped with features they may not require. An important question when procuring one of these solutions is quite simple: how advanced does a solution need to be? Laser instruments can provide extremely accurate readings by calculating measurements at any angle – all without coming into contact with the material. They're advanced and used across mining, power generation, pulp and chemical businesses. Radar instruments are less advanced, and as a result they're also a cheaper option. This leads onto the next point. So where can businesses obtain capable level-measurement solutions tailored to their specific industry or use case? 3) Is cost an issue? No two businesses are the same, and each will have different needs when it comes to level-measurement systems. While features are important, so too is cost. For many organisations, it's going to be important to select a low cost solution. The aforementioned radar instruments are one of the cheaper solutions available, especially when compared to the advanced laser instruments available. So where can businesses obtain capable level-measurement solutions tailored to their specific industry or use case? The answer lies with an expert provider. At SRO Technology, we have knowledgeable and experienced technicians who understand the different level-measurement instruments available on the market. This means when we're choosing a solution for your business, we know which model is likely to best fit your operation. When carrying out an implementation, we'll assess whether a laser, radar, ultrasonic or weight instrument is most appropriate. This carries across to our design and installation services – we can tailor an implementation to your specific business. Get in touch with us today if you'd like to learn more. Why is a range of level measurement systems important? The importance of calibration in level measurement systems How can I select an appropriate level measurement solution? How do ultrasonic level measurement instruments work?